So you’ve just bought your first iPhone or iPad, and you’re a little unsure where to begin. Fortunately, smartphones aren’t that complicated and Apple’s are designed from the ground up with usability in mind. This guide is available to download as a free PDF. Download A Complete Beginner’s Guide to iOS 11 for iPhone & iPad now. Feel free to copy and share this with your friends and family. In spite of this, first time iOS users can often feel perplexed. So we’ve put together a small guide that we think will give you a good grounding in most of the basic features. We’ll start right at the beginning, from the moment you unpack your iPhone, and teach you the basics of securing your device, messaging friends, using Siri, and much more. iOS is the name of the operating system that powers the iPhone and iPad, like macOS on the Mac, and Windows on the PC. Apple updates this software regularly, with one free major update made available for all iOS users some time in September or October each year. In addition to this, iOS receives periodic smaller updates that squash bugs, patch up security holes, and sometimes add new features. While the iPhone and iPad have their differences, the vast majority of the operating system is identical on both — with hardware-specific features making up most differences. As an example, the latest iPhones use a pressure-sensitive screen that the iPad does not have, and the iPad Pro is compatible with Apple’s Pencil stylus while other models are not. 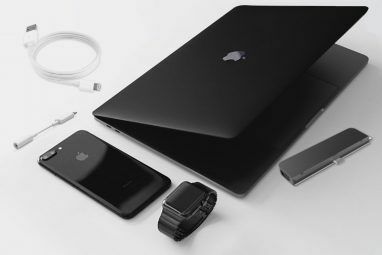 iOS shares much of its code with Apple’s desktop operating system, macOS, as does watchOS, which is used to power the Apple Watch, and tvOS, which is used to power the Apple TV. The first thing you’ll need to do is set up your new device, which means turning it on and activating it. On an iPhone, you’ll find the power button on the right side of the device, on an iPad you’ll find the power button on the top edge. iPhone users will need to insert a SIM card, accessed by using the included SIM release tool on the door. If you don’t insert a SIM card, you won’t be able to activate your iPhone and proceed with the setup. When you first turn on your device, choose the language you want to use followed by your region or country. You’ll then be asked if you want to use Quick Start to migrate your settings from an older iOS device. If you have an older iOS device, you can follow the on-screen instructions, otherwise hit Set Up Manually and pick a Wi-Fi network to connect to. Face ID: If you have an iPhone X, you’ll be asked to scan your face so that the iPhone can recognize you. Touch ID: Apple’s fingerprint recognition technology. This removes the need to enter your passcode or Apple ID password every time. Passcode: Even if you use Face ID or Touch ID, you’ll still need a good old passcode. Six digits is pretty secure, but you can enable more complex passcodes using the Passcode Options button. Next you’ll be invited to either set your device up as a new iPhone or iPad, or restore from previous backups. 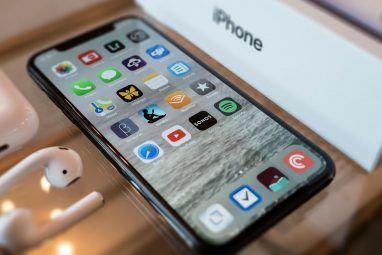 If you have an older device that you’re replacing, connect it to your Mac or PC, launch iTunes, and create a backup How to Update Your iPhone: iOS, Apps, and Data Backups How to Update Your iPhone: iOS, Apps, and Data Backups Wondering how to update your iPhone? We show you how to update iOS, what to do beforehand, and how to update iPhone apps. Read More . You can then choose Restore from iTunes Backup on your new device, connect it to your computer, and choose the relevant backup. All of your apps, personal data, contacts, and more will be migrated. If you have an iCloud backup, you can choose to Restore from iCloud Backup, though since this uses the internet, it will take significantly longer. You should probably only choose this option if you lost your last device and creating a fresh local backup in iTunes is not possible. If this is your first iOS device, you can either choose to Set Up as New iPhone/iPad or Move Data From Android. Migrating from Android to iPhone New iPhone? How to Transfer Your Data From iOS or Android New iPhone? How to Transfer Your Data From iOS or Android Transferring data to your new iPhone? Migrating from Android? Relax, it's easy to take your data with you. Read More is pretty easy, since Apple now provides an app that largely automates the process. Assuming you chose to migrate or set up as new, the last step is to login with an Apple ID. You can create one if you don’t already have one by tapping the Don’t have an Apple ID button. Apple now uses two-factor authentication (2FA) by default. 2FA uses two pieces of information to verify who you are What Is Two-Factor Authentication, And Why You Should Use It What Is Two-Factor Authentication, And Why You Should Use It Two-factor authentication (2FA) is a security method that requires two different ways of proving your identity. It is commonly used in everyday life. For example paying with a credit card not only requires the card,... Read More : something you know, and something you have on you. So when you login in future, you’ll need to first input your password, and then input a code to verify that it is indeed you who is trying to login. While it may seem a little daunting to have to setup 2FA and input codes, the feature is there purely to protect your account and ensure only you have access to your Apple ID. Location Services: Allows apps and other services to detect your location, though not without your express permission on a per-app basis. You should enable this. Apple Pay: If your bank supports Apple Pay, you can add a credit or debit card and pay for items wirelessly simply by hovering your phone above the terminal. Handy if you forget your wallet, or for sending cash to friends. Siri: Apple’s smart assistant does way more than simply handle voice commands. You should also enable this. iPhone Analytics: Sends usage data from your phone to Apple so they can better figure out how you use your iPhone — Apple insists this data is collected using “privacy preserving techniques”, so it’s up to you entirely. App Analytics: Same deal as above but with third-party app developers. True Tone Display: If your device supports it (iPhone 8, iPad Pro) then you can enable True Tone technology that balances the whites on-screen with the temperature of the whites in the environment. Helps reduce eye strain if you’re staring at a screen for a long time. Home Button Click: Some iPhones use haptic feedback rather than a mechanical home button (and the iPhone X has no home button) — you can customize the level of feedback here, though the default setting is fine for most. Display Zoom: If you bought a large iPhone because you have trouble seeing smaller screens, you might want to enable “Zoomed” mode — otherwise “Standard” offers a more pleasing experience. Finally you’ll be able to hit Get Started, and you’ll see your iPhone’s home screen for the first time. iOS is an intuitive operating system. 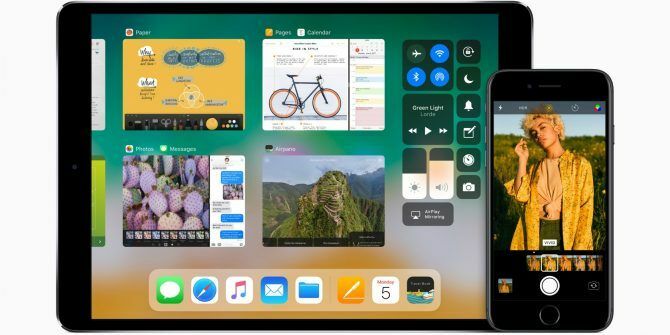 Apple has taken a “walled garden” approach to iOS, which means you can’t install apps from just anywhere, or make serious changes to the operating system. This is great from a security standpoint, but it also means that your iPhone or iPad might not be quite as customizable as you’d like. Most new iPhones are capable of regular taps, as well as 3D Touch. To 3D Touch, simply squeeze a little harder till you feel a click. 3D Touch lets you do all sorts of things, like peek at photos and hyperlinks Everything You Can Do With 3D Touch on Your iPhone Everything You Can Do With 3D Touch on Your iPhone 3D touch is really just a fancy name for a pressure-sensitive screen, but adds a whole array of extra input options to iOS. Read More or access context-sensitive controls like instant “selfie mode” above. Drag an app on top of another to create a folder. Delete a folder by dragging all apps out of it. Drag an app to the corner of the screen and hold to move to another home screen. You can press the Home button on the bottom of the device (or swipe up from the bottom of the screen on an iPhone X) to return to the home screen at any point. Tapping on an icon will launch the corresponding app. To quickly switch between two or more apps, double tap the home button (or swipe up and hold on an iPhone X) and tap on an app to resume. If an app becomes unresponsive (i.e., crashes) then you can “kill” it by entering the app switcher and “flicking” the app away. On an iPhone X, you’ll need to tap and hold the app first. Note: There’s no need to routinely kill apps 5 Bad iPhone Habits You Should Break Today 5 Bad iPhone Habits You Should Break Today Think you're a responsible smartphone user? Reckon you're saving battery by killing all those apps? Think again. Read More , since iOS automatically suspends processes in the background. You’ll expend more energy constantly killing apps and launching them “from cold” than if you just leave them be. For all intents and purposes, everything on your iPhone or iPad is an app — from the Phone app you use to make calls, to the Settings app, to third-party apps like Facebook. Due to Apple’s “walled garden” approach, apps you install on your iPhone or iPad must be found in the App Store. The App Store is a curated repository of software, in which all apps are overseen by Apple. While there have been some isolated examples, the vast majority of apps are malware-free and pose little threat to your device or data. To install an app, browse for it in the App Store, then hit Get or the app’s price (e.g. $0.99). Some apps feature in-app purchases for additional features, virtual currency, and subscriptions. Apps can request permission to access various features and data — like your location, your contacts, or the ability to send you notifications. You can manage an app’s permissions in the Settings app — simply scroll down to the app in question and tap it to revoke or enable priveleges. To delete an app, simply tap and hold until it starts to jiggle, then hit the “X” that appears. You’ll need to confirm that you want to delete an app before it’s removed from your device. Deleting an app will remove all of its app data, including any locally-stored documents. If you delete an app you have paid for, you can re-download it again free of charge. You can also restore most in-app purchases. If you need to change something relating to how your device functions, you’ll find it under the Settings app. The easiest way to find a setting is to launch the app, pull down to reveal the search bar, and search for it. All of your personal account settings — password, payment information, devices, iCloud and iTunes accounts — can be accessed by tapping your name at the top of the list. Unless you need to change something, there’s usually a quicker way to adjust settings on your device. To quickly access some common settings, swipe up from the bottom of the screen (or, swipe from the top-right corner on an iPhone X) to reveal Control Center. On an iPad, double-tap the home button to access this feature. Control Center provides quick toggles for Airplane Mode, Wi-Fi, Mobile Data and Bluetooth. You can also access media controls, enable or disable orientation lock (to maintain screen orientation), and engage Do Not Disturb mode to mute incoming notifications. There are sliders for device volume (separate to ringer volume, controlled by the rockers on the side of your iPhone) and display brightness. There’s also a row of customizable shortcuts for enabling the flashlight, setting a timer, or quickly launching the camera app. On an iPhone, you can 3D Touch these elements to reveal more options (as above) — like a quick timer, or to launch the camera in selfie mode. To customize your Control Center, head to Settings > Control Center > Customize Buttons. Apps and services can request access to your notifications, which will appear as a list on your lock screen for easy perusal. This allows you to decide how many pop-ups you see on your device on a daily basis. It can also have knock-on effects for battery life (the more alerts you get, the more power you’ll use). When an app requests access to your notifications, think hard about whether you want that app sending you alerts. For messaging and news apps, notifications are a core feature; but other apps like free-to-play games often abuse them. To revoke access or manage your notifications, head to Settings > Notifications. Sharing in iOS is done via the Share button — which looks like a box with an arrow pointing upwards out of it. The share sheet — as it’s known — features two rows of icons. You’ll find services like Facebook and Twitter on top, and actions like Print and Save along the bottom row. The very top row is reserved for AirDrop — Apple’s wireless file and data transfer technology. Despite having a reputation for being a bit flaky AirDrop Not Working? Troubleshoot Your File Transfer Woes AirDrop Not Working? Troubleshoot Your File Transfer Woes Having troubles with AirDrop? We can step you through all of your available options. Read More , AirDrop is a fast way of sharing things (images, websites, music) locally with other iOS and Mac users. Simply look for the recipient’s name, tap it, and wait for them to accept. You can turn on AirDrop for your device under Control Center (3D Touch the Wi-Fi/Bluetooth settings). Apple’s other wireless technology is AirPlay, which allows you to send video and audio to external devices How to Mirror an iPhone or iPad to Your TV How to Mirror an iPhone or iPad to Your TV Want to know how screen mirroring works on your iPhone? Here's how to mirror your iPhone to a TV using several methods. Read More like the Apple TV. Look for the AirPlay symbol — a square with a triangle at the bottom of it (as below) — tap it, then choose a receiver to stream content locally. While Siri can do useful things like compose messages, tell you the time, and help navigate your way home; the assistant is more useful in hands-free mode. Head to Settings > Siri and enable Hey Siri functionality. You can then say “Hey Siri!” and your device will respond to your voice without having to touch a button Hands-Free iPhone With "Hey Siri": 4 Reasons to Start Using It Hands-Free iPhone With "Hey Siri": 4 Reasons to Start Using It Here's how Apple's hands-free "Hey Siri" command can make your life easier. Read More . One of our favorite uses for this is the hands-free shared shopping list Use Siri and Apple Reminders for the Best Shopping Lists Use Siri and Apple Reminders for the Best Shopping Lists Don't waste your money on a third-party app, just use Apple free iPhone and Mac apps. Read More . iCloud is the name of Apple’s online storage and device management tools. iCloud can seem confusing since it seems to be used for so much, but it’s really just a catch-all term for Apple’s many cloud services. Your devices use iCloud to keep data synced, like browsing history, reminders and notes. Third-party app developers can opt to use the service to store documents and data. iCloud is also used to tie several Apple services together, including photo management and music libraries. iCloud also has a web portal, at iCloud.com. It’s here that you can access services like iCloud email and Reminders from the web, track your iPhone and other devices in case they go missing, and use Apple’s office apps like Pages using the web app. Your iCloud account is essentially your Apple ID — the same email and password combination Apple uses to recognise who you are and make purchases. Every iCloud account gets 5GB of free space, which is enough for a few documents and services but falls short when it comes to photo libraries or device backups. Note: Prices in the image above appear in Australian Dollars. You can see how much iCloud storage costs around the world on Apple Support. You can purchase more iCloud space in increments of 50GB, 200GB and 2TB (2,000GB) by launching Settings, tapping on your Name, then iCloud > Manage Storage > Change Storage Plan. Pick a tier that suits your needs, and you’ll be charged the corresponding amount every month until you cancel. The main reason to purchase more iCloud space is to store a backup of your device (or devices, if you have more than one) in the cloud. You can enable iCloud backup under Settings, just tap your Name then head to iCloud > iCloud Backup. If you see a message about iCloud backup being unable to complete, you probably need more space. While iCloud backup isn’t the only way to take a secure backup of your device, it is the easiest. Every time your device is locked, connected to Wi-Fi, and charging, iCloud backup will kick in and start uploading your data. iCloud only updates the newest changes, so once you’ve made the initial backup, the subsequent backups will be much quicker to complete. Other uses for your iCloud space include iCloud Photo Library, which stores your photos and videos in the cloud and keeps them in sync between your devices. This is a good option if you’re short on space, since iCloud Photo Library has an option to store smaller compressed files on your device while leaving the originals in the cloud until you need them. You can enable iCloud Photo Library under Settings > Photos. If you’re an Apple Music subscriber, you can use iCloud Music Library to keep your music synced between devices (Settings > Music). Any music you add from Apple Music will show up on all of your devices, and you can also store up to 100,000 songs in the cloud without affecting your storage quota. iCloud Music Library also works with iTunes Match. Third-party apps can also use iCloud to store data, and these files will count toward your storage quota. You can see what apps have stored using the Files app in iOS 11, or from the iCloud Drive shortcut on a Mac. This is Apple’s equivalent to Dropbox or Google Drive — simple online storage, for storing any kinds of files. You can access your iCloud Drive through any relevant apps, but also using the iOS 11 Files app. Your iCloud Drive contents also show up on a Mac through Finder, and on the web at iCloud.com. You can also access a handful of iCloud-enabled services from the web at iCloud.com. The main reason you’ll probably find yourself here is to use Find iPhone to find your Apple devices on a map. If something goes missing, you can enable Lost Mode to help get your device back to you. You can also remotely wipe your device using this tool. While your iDevices don’t require a Mac or PC to get started, there are times when you may need to connect your iPhone or iPad to a computer to conduct maintenance. This still relies on iTunes, which Windows users will need to download (Mac users will find it pre-installed). While iCloud backup is a nice failsafe, iTunes can also be used to make local backups. If you buy a new iPhone and would like to transfer your data to it, iTunes is a better choice since it won’t take anywhere near as long to perform the restoration process locally. To backup your device, plug it in to your computer and look for the device icon to appear underneath the status bar (pictured above). On the Summary page, hit Back Up Now and iTunes will get to work saving a copy of your device to your hard drive. If you don’t have the free space, better iTunes backup management Move Backups, Apps & Photos Off Your MacBook to Create Free Space Move Backups, Apps & Photos Off Your MacBook to Create Free Space If you're desperate, and you don't fancy paying over the odds for a solid state drive upgrade, here are a few ideas for further maximizing the available storage on your MacBook. Read More can help. You can then restore the backup by choosing Restore Backup, or selecting the Restore from iTunes Backup option when setting up your new device. If you have files, music, photos, or other data on your computer that you would like to send to your device, iTunes is how you sync it. Click on the device icon and choose your device, then browse the sidebar on the left to choose what to sync. Many third-party apps, like eReaders, can use iTunes File Sharing to transfer files to and from your device. Click on the File Sharing option in the sidebar and then choose the app. You can use the Add and Save to options to transfer data to and from your device. If something goes badly wrong with your iPhone, and you need to start afresh, iTunes allows you to restore the original operating system. Click the device icon, choose your device, then hit the Restore button on the Summary tab to reinstall iOS. You will lose all data on your device, but if you create a backup first, you can restore it once you’re done. Occasionally things will go wrong with your iPhone, and most of the time there’s a solution beyond taking it to a service center or buying a new one. You don’t need to run any maintenance tools on your iPhone, or scan for viruses or malware either. You should keep your device software up to date by running the updater under Settings > General > Software Update. Before you update your device, it’s always a good idea to have a full complete backup (see above) since things occasionally go wrong during the upgrade and a full restore is required. iOS receives one major upgrade per year, with several smaller updates throughout the year to patch bugs, security issues, and add the occasional new feature. Your device will tell you when an update is ready, and will continue to remind you until you apply the update. You can take your iOS device into a service center if you believe it to have some sort of fault. This can either be an Apple Store retail location (Genius Bar), Apple-authorized service center, or a third-party service center. If your device is within the warranty period, or still covered by AppleCare, your trip to the Apple Store will likely be free. Repairs that take place outside of the warranty coverage period will cost you, however. It’s in this instance that third-party options begin to look more attractive, since they’re cheaper and your warranty has already expired. Apple service centers use first-party replacement parts and charge a premium for labor. Many third-party options will use aftermarket parts, which can be of inferior quality. Apple’s extended warranty can extend the range of coverage provided for your device up to a maximum of two years. In some jurisdictions, like the EU and Australia, Apple must provide two year’s manufacturer warranty, so this seems like less of a compulsive purchase. However, AppleCare also covers accidental damage, with an excess payable for repairs or an outright replacement for your device should something happen to it. You can enter your serial number on Apple’s Check Your Coverage website to see whether your device is eligible, and what your current level of coverage is. You can buy AppleCare for up to 60 days after your device purchase. Diagnose the cause of bad battery life and improve it with a few tricks The Big iPhone Battery Guide The Big iPhone Battery Guide Everybody worries about their smartphone batteries, so let's dispel a few myths and settle a few scores. Read More . Find out why your device is getting hot iPhone or iPad Getting Hot? Here’s Why & How To Fix It iPhone or iPad Getting Hot? Here’s Why & How To Fix It There are a few different reasons your iOS device might get hot. Here's what you can do about it, and when you should start to worry. Read More and what you can do about it. Learn how to perform iPhone repairs yourself How to Fix an iPhone Yourself How to Fix an iPhone Yourself Over a few weeks, the angle I needed to plug the lightning cable into my iPhone 5S got more and more specific, until one day it just wouldn't charge. It was dead. Read More and what training Apple’s own staff receive What Training Do Apple Technicians Need to Fix iOS & Mac Devices? What Training Do Apple Technicians Need to Fix iOS & Mac Devices? What if you could fix your iPhone yourself? What does it take to become a certified Apple repairman? And is it worth pursuing as a career? Read More . Fix tethering issues when sharing your iPhone’s data connection iPhone Hotspot Not Working? How to Fix iPhone Tethering iPhone Hotspot Not Working? How to Fix iPhone Tethering Personal Hotspot not working? Here's how to solve your tethering problems. Read More . Reveal the cause of frequent app crashes and how to resolve them iPhone and iOS Apps Keep Crashing? Try These Fixes iPhone and iOS Apps Keep Crashing? Try These Fixes There are many things that can go wrong and cause your iPhone to crash, but thankfully there are a few things you can do when things go wrong. Read More . Protect your privacy by restricting the way your device uses your data Boost Your iOS Privacy with These Settings and Tweaks Boost Your iOS Privacy with These Settings and Tweaks We all know that governments and corporations collect information from your phone. But are you voluntarily giving away far more data than you realize? Let's look at how to fix that. Read More . Prevent Siri from giving away all of your secrets Stop Siri & Notification Center Giving Away Your iPhone Secrets Stop Siri & Notification Center Giving Away Your iPhone Secrets Leaving your iPhone on the table while you go to the bar is okay if it's locked, right? After all, your mates can't access information or post slanderous messages on Facebook... right? Read More . Unlock your device faster using the fingerprint scanner Touch ID Woes: Troubleshooting The iPhone 5S Fingerprint Scanner Touch ID Woes: Troubleshooting The iPhone 5S Fingerprint Scanner There's no doubting that Apple's iPhone 5S introduces one of the best implementations of fingerprint scanning, but it's not been plain sailing for everyone. Read More . 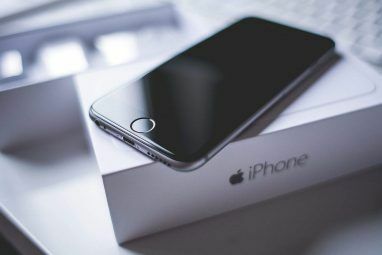 Nip your bad iPhone habits in the bud 5 Bad iPhone Habits You Should Break Today 5 Bad iPhone Habits You Should Break Today Think you're a responsible smartphone user? Reckon you're saving battery by killing all those apps? Think again. Read More early. Lastly, Apple Support Communities is a public forum for resolving issues with Apple hardware and software. It’s not monitored by the company, nor do they provide support, but you’ll likely find other users with similar issues and possibly solutions. It’s always worth a look here before you book a Genius bar appointment or call support, just in case. Do you have another burning question about how to use your iPhone or iPad? Is there something you’d love to see us include in this guide? Leave us a comment below and we’ll get back to you. Alternatively if you have any other must-know tips for iOS newbies, why not share them below? Explore more about: iOS 11, iPad, iPhone, Longform Guide. How to Use Your iPhone as a Webcam: 5 Methods That WorkIs Bitmoji a Threat to Your Privacy?